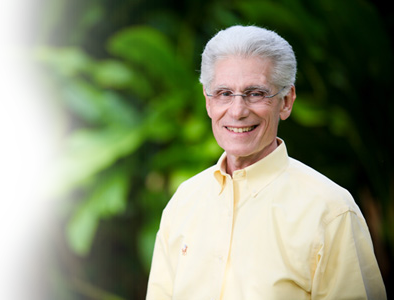 I trained directly with Brian Weiss, M.D. in 2004. I spent a week learning the techniques that Brian developed to help people uncover the sources of “past life trauma.” In his professional training, I learned how to help people use the information uncovered in past life regressions to help them heal problems from this lifetime. His revolutionary technique has helped thousands of people heal from phobias, anxiety and change the way they view the lives they live. Brian trained as a classical psychiatrist but got thrown into the world of “alternative healing” when he hypnotized a patient to uncover the source of her lifelong phobia. In hypnosis, she “saw” a life where she lived in ancient Egypt, and died an excruciating, traumatic death that her “soul” remembered. That past life experience “bleed-through” into her present life and was the source of her lifelong trauma. Once she experienced the source of her trauma and realized that it happened 3000 years ago, she was healed. That experience and many others just like that, made Brian re-think his straight-laced psychiatric training, his values and his life. After the publication of his first book, Many Masters, Many Lives, Brain launched his career of teaching and lecturing about Past Life Regression. Brian’s courageous work has helped thousands of people open their minds and their hearts to the eternal validity of the soul. Souls never die, only bodies die. I continue to study with Brian Weiss whenever I can. I’ve flown to New York to take his workshops at Omega Institute, near Rhinebeck, and I try to take his workshops whenever he teaches in California.